Isn't it great! President Obama want's to make community college FREE! That's right, FREE! Isn't it also great that college professors will now work for FREE. So will administrators, book providers, the people who build community colleges, utility companies, maintenance workers, etc. etc. etc... In this brave new world, no one will get paid. They will all work for FREE. If that sounds idiotic, it is, seriously idiotic. Because that is what it would take to have FREE community college. How do Europeans governments give their people FREE college? They don't, they just tax everyone to pay for this allegedly FREE stuff. You can't really tax corporations, although we do. The corporation—or any business, for that matter—simply passes the increased cost along to the consumer in the form of higher prices. It is we the people, then, that inevitably pay for the government's various tax and spend schemes. Here is why it's so expensive. 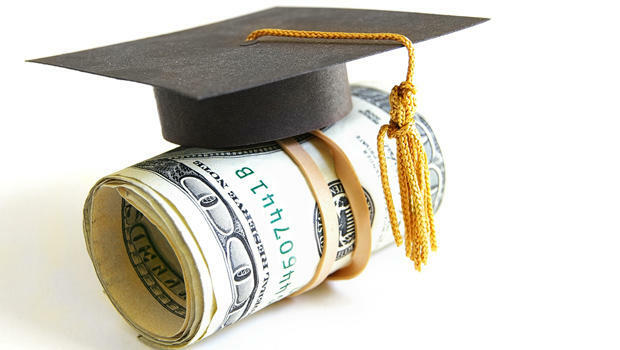 The government already underwrites college education with taxpayer guarantees. How does this guarantee work? The banks make low interest, easy to get education loans, which entices potential students to borrow money, lots of money. The colleges that receive this money don't really care if the student pays the money back. Why? Because the bank guarantees that the college will get paid, even if the student defaults. The government insures this. Meaning that you, the taxpayer, will pay if they default. How? In the form of higher taxes. In other words, the government guarantees the bank, the bank guarantees the college and the taxpayers are on the hook for all of it. Here's another unintended consequence; that flood of easy government money, inevitably drives up the cost of college through inflation, which is caused by all that money pouring into the system. And, with all that money colleges can build new buildings, pay their top professors huge salaries, offer budding sports stars deals they can't refuse and generally run up massive debts. How do you think an alleged Native American like Elizabeth Warren—who qualifies as such with a meager 1/32 blood quantum—can get paid a salary of $375,000 a year for teaching a single class. Being a double minority can be powerfully enriching when the taxpayer money flows like a river. Under those circumstances, colleges can afford to be generous. Their well-intended social engineering is simply a byproduct of the nations generosity, which only compels people to game the system and people like Elizabeth Warren, among others, do exactly that. However, when the money drys up—and it inevitably will—those same colleges will no longer be able to pay their substantial debts. When that happens, they will collapse like a house of cards and be forced to close their doors, much like the mortgage industry did back in 2008. Seven years after the housing debacle, we are still feeling it's effect. When the government inflates a bubble, prices eventually rise so high that this bubble, created by all that manufactured money, bursts. That is why the cost of college has skyrocketed well beyond the rate of inflation. It's also why a college degree is worth less in the marketplace—and will continue to be devalued as college is FREE for everyone. What will it mean to have a bachelors degree, when just about everyone has one as well? That is the reality, no matter how well-intended it seems on the surface. There is one other very big consequence of all this reckless borrowing and spending. As people are encouraged to take on new debt, often very substantial debt, in an effort to make themselves more desirable in the market place, they may find no job waiting on the other end. But, they now have enormous debts that siphon whatever income they might have. This debt can follow them for much of their working lives, acting as a drag on their financial future, impeding buying a home or a new car and, eventually, becoming a collective drag on the nations economy. Make no mistake, the president knows this, but he hopes you don't. He also knows that by giving you all kinds of FREE things, he can buy your vote for his party in perpetuity. Don't let anyone tell you otherwise.